The Silence (film, 2019). A 2019 English-language horror film by Netflix. Directed by John R. Leonetti. Official Trailer. The Silence is a 2019 English-language horror film directed by John R. Leonetti. 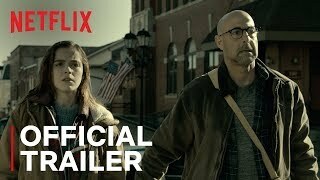 The Silence | Official Trailer | Netflix. A cave research team unearths an unknown species of pterosaur-like creature, referred to as "vesps", from a mine. The vesps violently kill the researchers, fly out of the mine, and seek the noisiest areas. Ally, a teenage girl who lost her hearing in a car accident, lives with her parents Hugh and Kelly Andrews; her maternal grandmother Lynn, who has terminal lung cancer; her brother Jude; and their dog Otis. As the news of the vesp outbreak spreads, the US government declares a state of emergency and asks people to stay indoors and quiet. Ally suggests they head to the countryside, which is likely to be quieter. Glenn, Hugh's best friend, joins them and brings his guns. They set out in two cars, but a man hijacks Hugh's car while refueling. Glenn shoots the man in the leg, and they drive away. The group hits a massive traffic jam, blocking all the interstates, and Glenn goes off-road. Speeding through the countryside, Glenn's car hits a herd of fleeing deer and tumbles down the embankment. He survives but is trapped in the car. Hugh and Kelly fail to free him, and Glenn asks Hugh to leave with his family. As the Andrews family return to their car, Otis barks, attracting the vesps, who attack the car. Glenn fires his gun, leading them away from the Andrews' car, sacrificing himself. To keep his family safe, Hugh is forced to let Otis out of the car; Kelly consoles Ally and Jude. Ally says they all have the skill to survive in silence, due to her deafness. Hugh leads his family on foot after setting Glenn's car on fire as a decoy. Lynn struggles to keep up, and her coughing puts the whole family at risk. Jude spots a house in the countryside. The family heads towards it and finds a high fence with a locked gate. Their arrival alerts the homeowner, who, unaware of the situation, speaks. Vesps attack and kill her. The family uses a storm drain to enter the house. A rattlesnake in the drain scares Jude, and he yells. Attracted vesps bite Kelly's leg. Hugh distracts them by turning on a woodchipper, crushing the vesps flying into it, and the family enters the house. 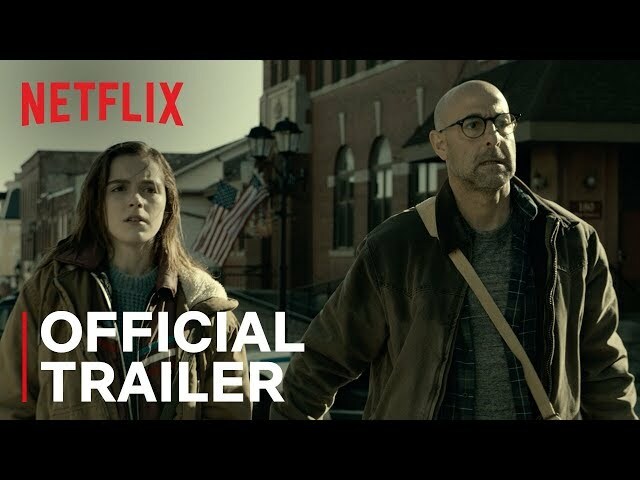 The film The Silence was scheduled to be released by Netflix on April 10, 2019 (United States) and on May 16, 2019 (Germany).